Who else can relate to this? With the season around the corner it is important that your loved ones are prepared. 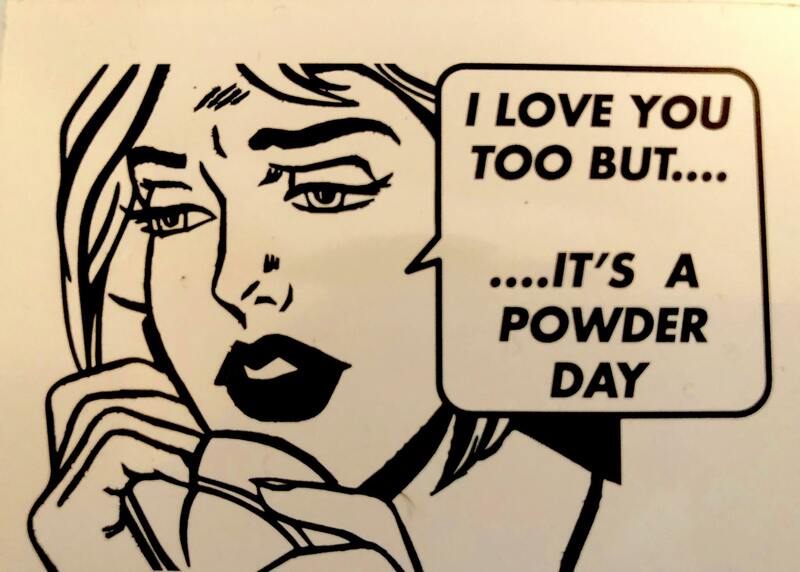 Powder is the most addictive of all drugs. When it is a snowin' we are a goin'! A new place to stay and recharge after a day shredding Kootenay pow! After skiing pillows all day you ca rest your head on some fresh pillows at night! Rossland has a new addition opening this November - The Josie Hotel. Located at the base of Red Mountain and just steps from the offices of our friends at Big Red Cats. It is going to be great to have another option in the iconic ski town of Rossland BC where tuckered out skiers can get a good nights rest with dreams of fluffy pow to ski the next day! 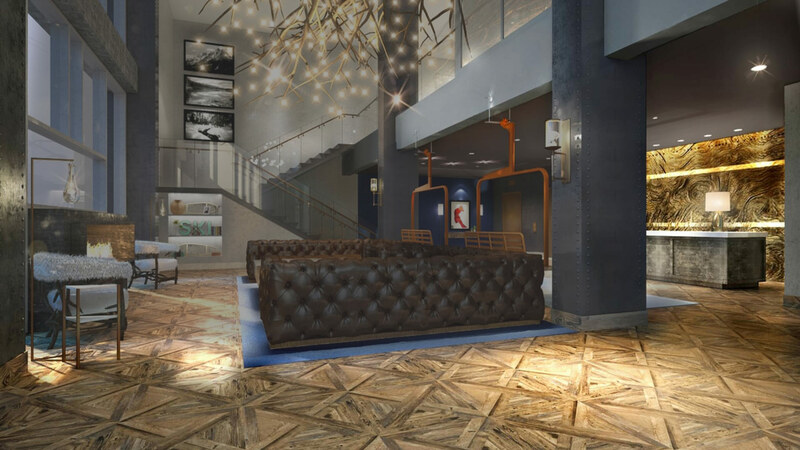 Rossland BC Canada - The Josie Hotel (The Josie), a Noble House Hotels & Resorts property in partnership with William Cole Companies, is set to open its doors on November 28, 2018, transforming Rossland into one of North America's major ski destinations. Located in Rossland, British Columbia, The Josie is the region's first boutique hotel of its kind and a true ski-in, ski-out property, providing luxury accommodation and an authentic mountain experience, just a few convenient steps from RED Mountain Resort's (RED) slopes. The new destination hotel, named after one of the town's most notable mines, the Josie Mine, is situated at the base of RED, and the first stop along Canada's world-renowned Powder Highway, in the heart of the West Kootenays. Contemporary in its design, amenities and culinary philosophy, The Josie's 106 stylishly-appointed one-bedroom suites, guest rooms and studio suites offer luxurious bedding, spacious bathrooms and relaxing lounge areas, with all rooms boasting unrivalled vistas of RED and the surrounding Rossland range. With Chef Marc-André Coquette at the helm, The Josie's full-service dining establishment, The Velvet Restaurant and Lounge (The Velvet), will represent the first gastronomic offering of its kind in both Rossland and the West Kootenay region. With a focus on exciting, locally-inspired craft cooking, the culinary team is working with a dedicated community of local suppliers, farmers, producers and vineyards. Welcoming hotel guests and locals alike, the menu houses a subtle French influence and offers a diverse range of dishes, including vegetarian, vegan and gluten-free options. The Josie's surroundings are a mecca for adventure, with RED boasting nearly 2,877 acres of pristine, unfettered terrain. Throughout winter, the hotel's prime location offers guests unprecedented access to cat skiing, snowshoeing, fat biking, cross country skiing, curling, ice skating and hockey. RED was recently named as one of the best places in the world to visit by The NY Times and was also listed within the Top 20 resorts in North America for skiable terrain. The Josie will be equipped with a dedicated ski concierge, providing in-depth, local knowledge to guide guests through that 'epic day', taking advantage of RED's average annual snowfall of over 7.6 meters. Summer outdoor enthusiasts can experience Rossland's scenic hiking, fly fishing and lake fishing, horseback riding and mountain biking on more than 200 kilometres of perfectly maintained trails. Guests seeking a relaxing escape, or some post-adventure pampering, can unwind in the hotel's intimate spa and enjoy a curated menu of sensorial wellness treatments. The hotel's premier fitness facility will offer cardio and strength-training equipment. A mountainside pool will join the luxury amenities in 2019. A prime spot for both the community, and visitors, to connect, The Josie encompasses more than 1,500 sq. ft. of unique venue space. Developed to accommodate corporate and social events, from small meetings to large conferences, family reunions, weddings, holiday parties and private gatherings, the hotel also offers an adjoining terrace for al fresco events. "Whether seeking adventure or relaxation, people visit Rossland to escape life's fast pace and surroundings", says Mark Bell, General Manager of The Josie. "We are thrilled to be opening our doors to the people of Rossland, and we look forward to welcoming our visitors. The Josie was built to offer the region's first luxury, boutique accommodation, while capturing the warm, spirited, hospitable and adventurous personality of the town. We feel privileged to be a part of Rossland's growth as a unique Canadian destination." To meet The Josie, please visit www.thejosie.com and follow @thejosiehotel. For more information on RED Mountain Resort and its year-round offerings, please visit www.redresort.com. Pisten Bully Luxury Snowcat is the kind of style we like! All the luxury money can afford. 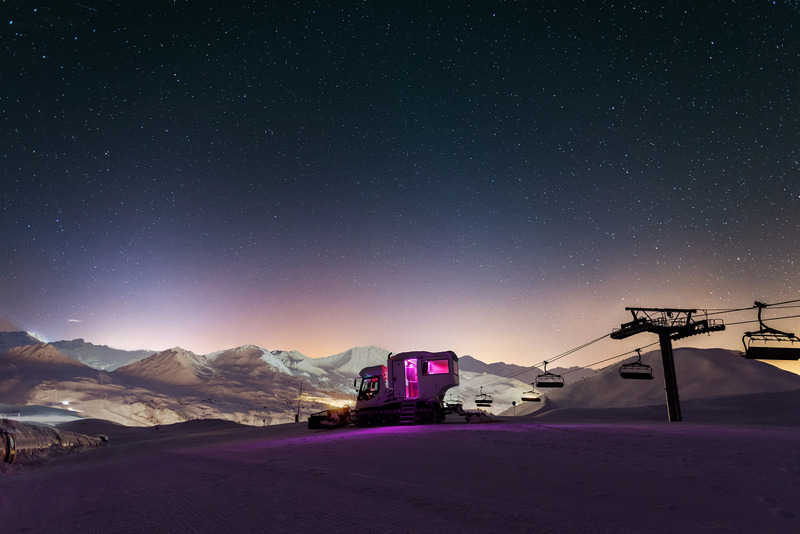 The French ski resort La Plagne knows what slope-side luxury looks like. They have take the tiny home movement to a new level with this luxury snowcat. What do you think, do we need some of these in Canada? The reality is, sometimes you hit the storm right, sometimes you don't. Someitmes you get the shot, other times you forget to put memory in the camera. Sometimes you should have zigged instead of zagged. Whatever it is, this video aims to prove that you should just go skiing. Level 1 presents Zig Zag. Enjoy. Matchstick Productions is back and they are making a statement with All In. It looks like they are bringing more much needed and deserved attention to the female skiers in our industry. They appear to have a 50/50 cast of men and women skiers and we are stoked. 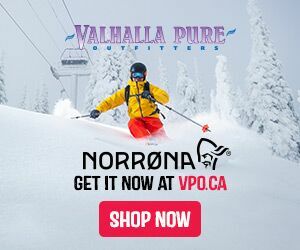 More ladies out catskiing in Canada and shredding the pow the better. Can't wait for this one. on Tuesday, 10 July 2018. We all grew up watching Warren Miller films. Like countless other skiers, the release of his new annual film signified the official begining of the season. The stoke in the crowd was always palpable. I recall meeting the man himself one November at a show in Vancouver BC. He introduced the show, spoke at his iconic 'Intermissions' and took the time to meet and chat with fans after the show. He signed my book and I checked 'Meet Warren Miller' off my ski bucket list. The first Warren Miller movie I ever saw was Steep and Deep. I would have been around 8 years old and really deepening my love of skiing. I have parents who promoted the sport and me doing it which makes me one of the luckiest kids on the planet. I watched Steep and Deep countless times. Seeing people drop cliffs in exotic places, laughing at the bloopers and then seeing those two guys jump off the skids of a helicopter...I was in! This was the life for me. Exactly one day in your like your kid will ski as good as you do. The next day, he'll ski better than you. I am at that stage now in my skiing life. Teaching my kids how to ski. They are only 4 and 2 right now but it won't be long before the above quote becomes a reality. And I can't wait for it! It sounds like something he would say. You will be missed Warren but you sure left your mark and will not be forgotten. Oh my goodness this is so rad! The North Face crew were up at Island Lake Lodge Catskiing in the dwindling days of 2017. What they experienced must have been wild. The snow started to pount BC before Christmas and didn't really let up. As you can see in this edit, they were at the right place at the right time! Friends on a Pow Day... love it. Deep, light, sunny...perfect for slaying BC pow! Happy Friday! Avoid a little end of week work and start dreaming pow with this video featuring Retallack Lodge. Shot last January by the Volkl Freeski team. 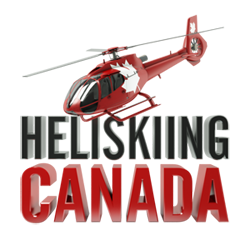 Skiers include Angel Collinson, Austin Ross, Ian McIntosh, Markus Eder, Dash Longe and Stian Hagen. 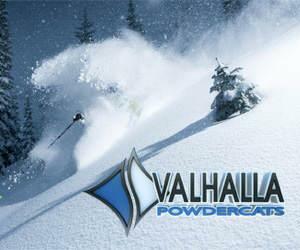 3 Days of you and a mountain of powder! Island Lake Catskiing has teamed up with The Ski Journal and Teton Gravity Research to give you a chance to win 3 Days of Catskiing! All you have to do is follow the link below and sign up for their email newsletter.